The team at Escape Games Canada are heartbroken in the wake of the recent, tragic events in Poland. It is our core belief that no one should have to worry about safety when they go to an escape room to have fun. We are in the business of creating a fun and engaging environment for all our customers, but our number one priority is the safety of every single player. As escape room experts, operators, and consultants, it has always been our policy that we freely share our knowledge and offer as much information as possible on how to know if an escape room is safe to participate in. This blog will give you a comprehensive list of our concerns and safety guidelines that we follow to ensure that all players that participate are as safe as possible. We want to make sure that you, our customer, feels safe when you play at our facility as well as any others. A good question to ask when you are considering playing at an escape room facility is if they lock you into the escape room. It may seem silly, because you’re paying to try to escape, but you should never be locked into your game. For safety, you should always have immediate and safe egress from your game in the event of an emergency. Sadly, it is not enough to have a key beside a locked door, or a key pad to escape. Ontario fire code states that your exit be unimpeded, so ensure it is before you play. Beyond that, the facility should have emergency lighting that activates in the event of a power outage to help you find your exit and all emergency exits should be clearly marked with lit signs. If a fire were to break out while you’re playing, the power would also go out; a safe facility will have provisions in place to ensure that all players have clearly lit paths to all emergency exits. While it might seem strange or creepy, it’s important that your game master is monitoring you while you play. In fact, they should be keeping an eye on the entire facility. Game masters should monitor hallways, games, and even the other staff to make sure everyone is where they should be and nothing is out of the ordinary. Not only that, but there should be enough staff on hand to reasonably address any emergencies. If there is only one staff member monitoring multiple games, as well as the lobby, that facility is not equipped to address any safety concerns that could come up. A single staff member could be distracted by any number of things, and therefore not be monitoring all of the games in play. The staff should also have standardized safety rules in place and know what to do in the event of a problem. A good question to ask when you go to play an escape room is if the facility has an emergency override to stop and unlock all mechanisms. Any escape room business that is concerned with your safety will be able to shut their entire facility down with the press of a button. Shutting down all the games alerts players that something is wrong; it signals that your attention is needed and also cannot be mistaken for a game mechanic. This way you know that it’s not part of the story, and you should leave for your own safety. When it comes to safety, a facility must equip their staff to act. They should be empowered and have the numbers and resources to address multiple players and a variety of different situations. Don’t be afraid to confirm that you are under surveillance when you visit your next escape room. It might seem like a fun and authentic touch to be handcuffed in a prison game or be blindfolded so that you’re disoriented when you enter the game, but these kinds of gimmicks are actually very dangerous for players. 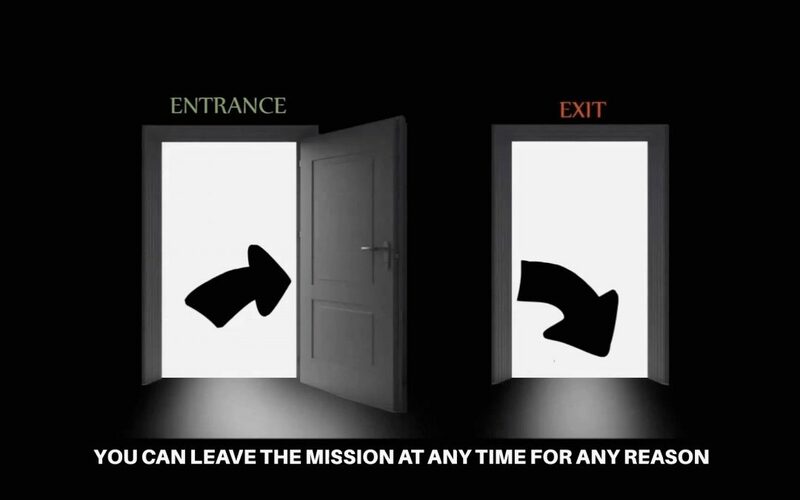 In the event of an emergency, you must be able to move to the nearest exit without restraint which is obviously impossible if you are bound to a set piece and much more difficult if you are bound to another player. It’s equally dangerous to play a game after you’ve been blindfolded. Being well oriented can save you in an emergency, and you can’t expect to know where your nearest exit is if you entered the room with a blindfold. There is another type of restraint that compromises safety in an escape room; spatial restraint. An escape room that is 10 feet by 10 feet should hold no more than 4 players, yet many facilities happily accommodate groups of up to 8 players in that small space. To be clear, that is not safe. Buildings have maximum occupancies for a reason, it is calculated based on available exits for safe egress before bottlenecking occurs. If a facility is in breach of these occupancy guidelines, they cannot safely evacuate you in the event of an emergency. As game builders and designers, the safety of our customers is paramount. Escape Games Canada treats customer safety as our first priority, even over game design and we ensure our team is equipped and well trained to address any number of emergencies. We firmly believe in following official channels and upholding regulations to make sure that not only are all missions to code, but that players can be reassured that we have done everything in our power to ensure proper safety measures. Escape rooms are a comparatively young industry and have gone largely unmonitored, but that should not stop responsible operators from taking the necessary steps for the benefit of their patrons.